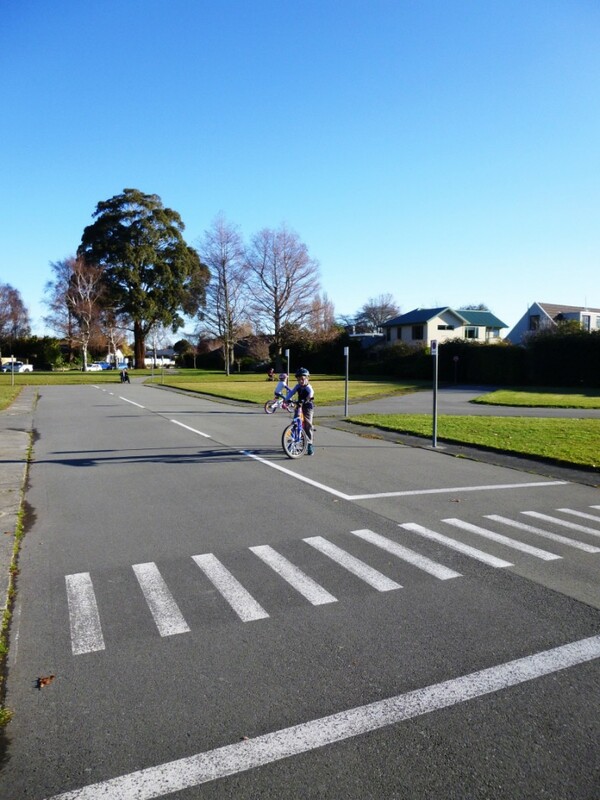 Westburn Reserve bike park is simply awesome – this suburban playground has a mini road system set up for kids. There are roundabouts, give way and stop signs, a railroad crossing, pedestrian crossings, a one-way bridge – the works! There is also a playground with a tall slide, swings (for big and little kids), a see-saw, and a merry-go-round. With a couple of picnic tables, space to kick a ball, and toilets, this park has it all. We visited Westburn Reserve in June 2015 (winter). Westburn Reserve is located in Westburn Terrace, Burnside. See the map below.